So many campaigns were launched by us at different Elections, to spread awareness amongst the people. 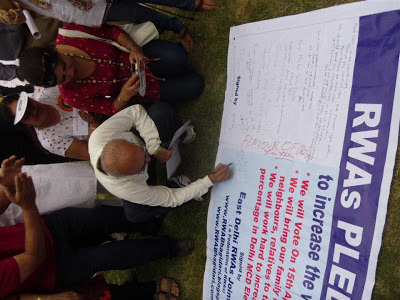 One of our most interesting campaigns was to get the 'RWAs Pledge Banner'to be signed by one & all. 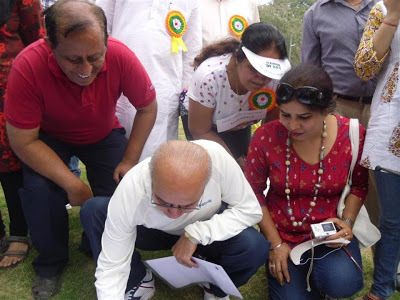 It was a pleasant surprise when the Election Commissioner Mr. Rakesh Mehta (2012) himself signed our pledge banner. The Banner with hundreds of Signatures and with the Signature of the Election Commissioner himself got so much attention from the Media, that it was stolen by some miscreants from the spot itself. Our Campaigns got the Support of the General Public as well as the Media. 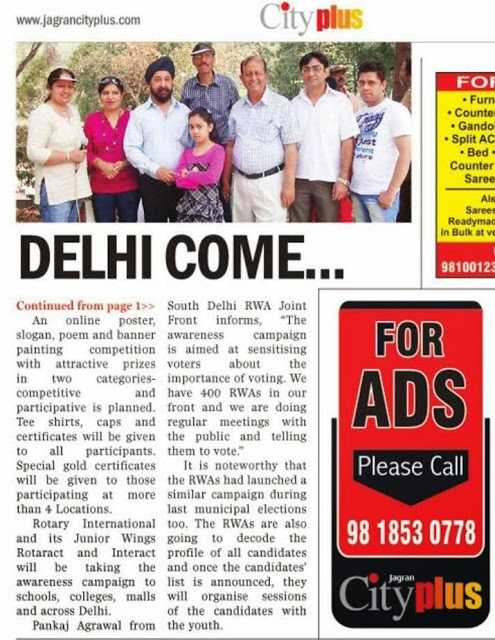 We also carried out so many doors to door campaigns to ask Delhi to Come out & Vote. Our campaigns are always APOLITICAL as we don't support any political party and don't carry any publicity material for political gains. 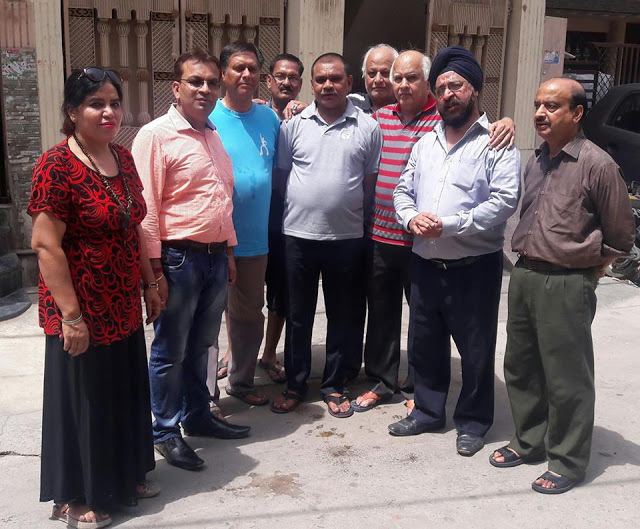 As we are regularly working for the sake of Delhi, we are regularly visible on various TV channels, Print media, FM channels as well the FB & Twitter accounts of various top-rated agencies. 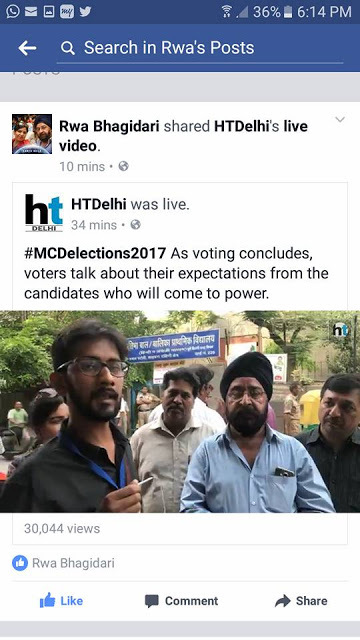 It was the last minutes of the Delhi MCD elections (2017) when we got a call from the HT team for a Live from our end. 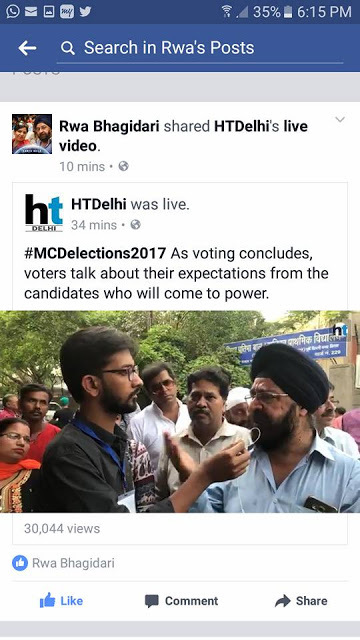 The video with Mr Abhinav Rajput of Hindustan Times got over 75 thousand views.